Previously we have seen the Energy Mode boots for the World Cup, where energetic colours are going to lighten up the biggest footballing stage. adidas is now going to make you even more ready for the World Cup and ready to take Russia with storm. Take the Energy Mode to the streets with these Limited Edition sneakers. The Energy Mode pack is all about the energy that’s created during the World Cup. But for some the World Cup is more than just watching or playing football constantly for a month. Therefore, adidas has made this Limited Edition sneakers collection, so you can take your Energy Mode game to the streets. The sneakers are made with a minimalistic design and with lightweight innovations. The sneakers are all traditional craftsmanship with new technologies, which gives you a sneaker that has a nice and energetic look. 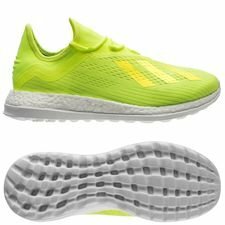 They are all made with enlightening colors that for sure is going to make people turn their heads when you walk in your Energy Mode sneakers on the street. 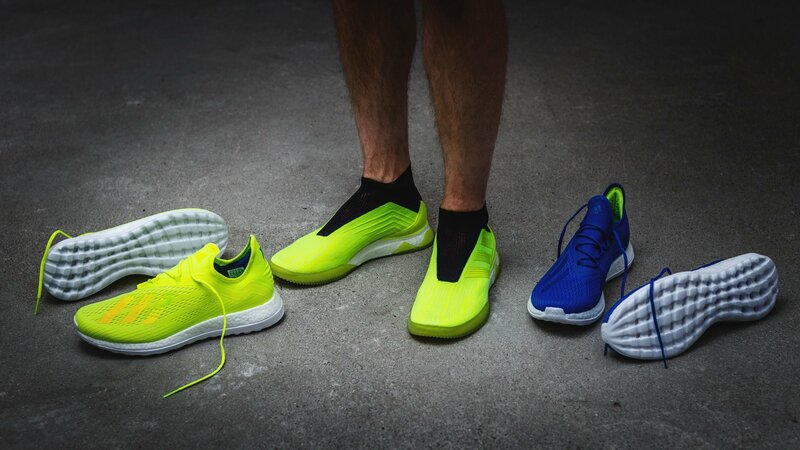 The sneaker collection consists of Predator Tango 18+ made in a strong neon colour, while you also get two pairs of X sneakers. 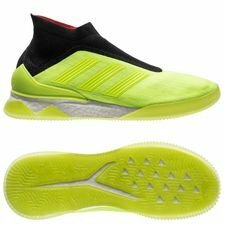 One of the X 18+ sneakers are also made in a strong neon colour, while the other pair is made in the trademark blue launch colour of the X 18+ football boots. All sneakers are great complements for the boots and can be used to rock the full on and off the pitch Energy Mode look. 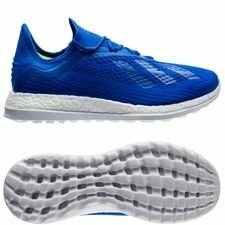 As per usual the adidas sneakers futures the BOOST technology, so the comfort is kept on the highest level possible. Furthermore, it also gives the sneakers a true adidas feel and look when the BOOST is applied. Buy your Limited Edition Energy Mode sneakers already today, and take your World Cup look to the next level.